Web.com—How Do I Update My Credit Card Information? 3. Click the Manage button next to the credit card. 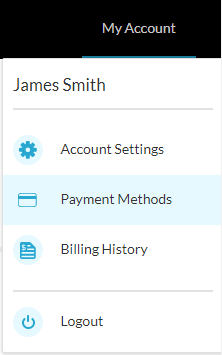 On the Manage Your Payment panel, click Edit. 4. On the Edit Payment panel, in the appropriate fields, update any information, including the expiration date of your credit card, and also your billing address. 5. At the bottom of the page, click the Update Card button. You have updated the information on your credit card. Web.com—How Do I Add Another Payment Method? 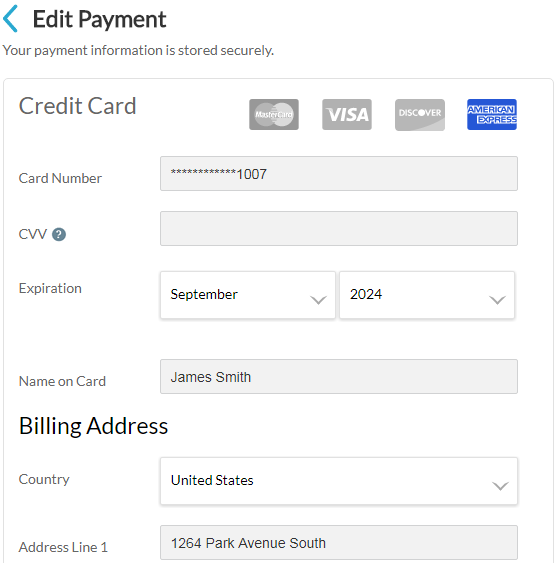 Web.com—How Do I Replace My Credit Card On File with Another Card?